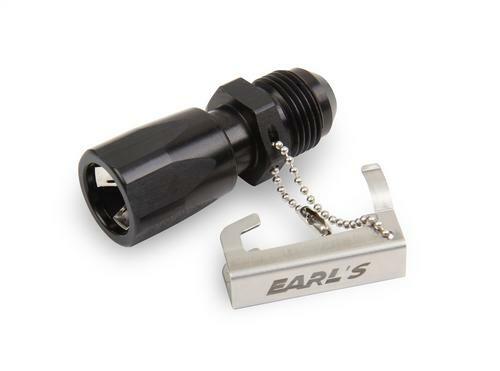 "Earl's Quick Connects adapt popular GM, Ford and Chrysler 3/8" male fuel connections to -6 AN hose ends. They utilize dual O-ring seals, factory-style steel internal snap retainer, and an external stainless steel redundant clip to deliver the ultimate in safety. These adapters allow a -6 hose end to be mated to factory fuel rails and fuel tank male line connectors. The O-ring material was developed specifically for the factory quick connects and was optimized to resist today's fuels like E85 and new fuel additives that damage common O-rings.